Listen to Lorde describe how Frank Ocean influenced one of her songs on 'Melodrama'. Lorde's new album 'Melodrama' dropped last week, with music reviews describing it as a a great break-up album. The 20-year-old has revealed that Frank Ocean's critically acclaimed 'Blonde' album influenced one of her songs. Lorde recorded a podcast with The Spinoff to discuss the story behind every song on her 11-track album. She revealed that 'Blonde' helped inspire the arrangement for 'The Louvre'. "I smile when I think about that song. because it is just so simple... It's just about new love, and how complicated it can be, and how infuriating, and how perfect it is as well.... It’s just like this big dumb joy and it’s intense – and I feel like the instrumentation in that song kind of helped it get there... In this sort of post-Blonde landscape, we can all sort of do whatever we want in terms of instrumentation," she said. 'Melodrama' is on course to debut at number one on several charts around the world. The offering could also become her first ever #1 album on the Billboard 200 chart. Her debut 2013 studio album, 'Pure Heroine', peaked at No.3 on the chart. The album's lead single, 'Green Light', continues to enjoy major success on the Chamberlains Top 20 . It's currently at number 20 on the chart. 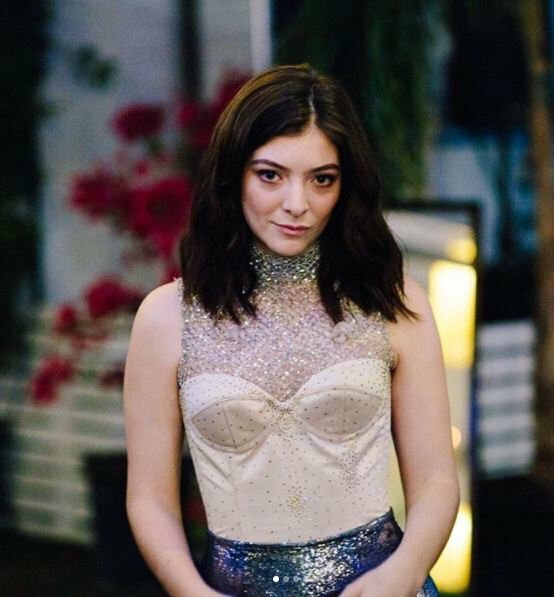 'Melodrama' only dropped a few days ago, but Lorde is already thinking about her next album. "I think I know what the next record is going to sound like, but of course I have no idea... It’s gonna be really different to what I think it is right now," she said. Catch the Chamberlains Top 20 with Cassy Clarke every Saturday from 10 am -12 pm.